In a bold first for a state Department of Transportation, the Maryland Department of Transportation (MDOT) is heading the nation’s first Progressive Design-Build highway project: The I-270 Innovative Congestion Management Progressive Design-Build Project. 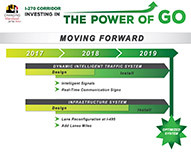 Embracing an original, landmark contracting strategy, MDOT empowered the private sector industry’s brightest minds to bring relief to I-270, one of the most congested corridors in the state. The result? 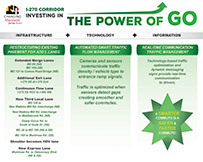 An innovative package that encompasses the optimum in infrastructure upgrades, intelligent transportation solutions, technology implementation and real-time information and communication. 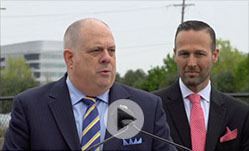 Innovation — Driving Maryland from Slow to Go!